NEW: Nevermind walking the walk, can you talk the talk? Learn Smokejumper lingo with Taylor's Glossary of Smokejumper Terms. 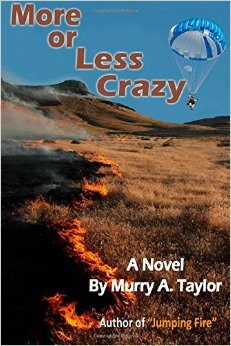 A veteran smokejumper recounts his three decades parachuting out of planes and fighting wildfires in the rugged West, told within the framework of one thrilling season. Experience a fire jump from a Smokejumper's helmet-cam viewpoint. The paperback edition of Jumping Fire was released on June 2001.